Things don't always turn out how you expected. Two female lovers, Olivia, a career-driven lawyer and Alex, a fun, pot smoking layabout plan on never having children. Olivia, although happy at home and work realises her bio-logical clock is ticking so jumps the gun and goes ahead with artificial insemination treatment behind Alex's back. Alex, in her turn, takes revenge on Olivia by getting drunk and sleeping with their sleazy, sexist neighbour, John. Both fall pregnant and are forced to evaluate their relationship and their future. 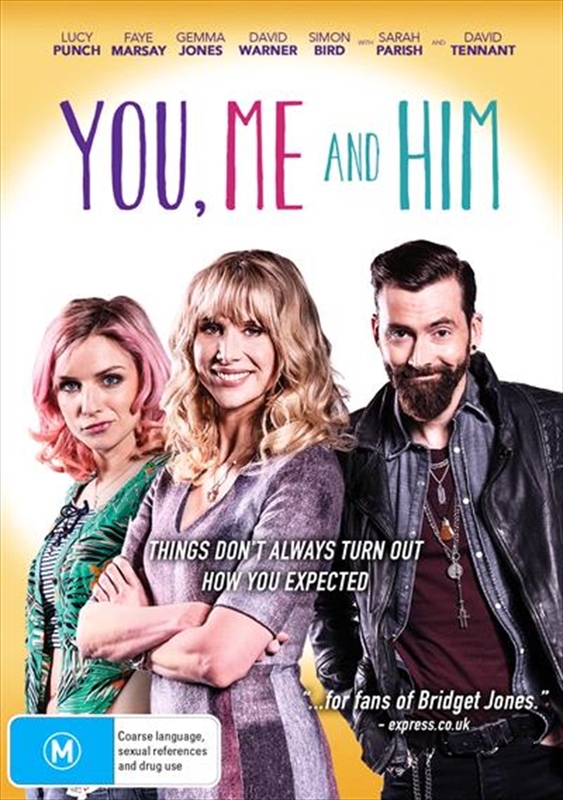 YOU, ME, & HIM is a bold, intelligent, warm and deeply funny exploration of love and pregnancy in the 21st century.